As Biopharma Business Bureau Chief of Elsevier Business Intelligence, Wendy Diller guides coverage of business news and analysis for EBI’s biopharma publications and writes and edits on related topics. Translational medicine and in particular its implications for industry and academia relations and R&D productivity are hot topics among their readers. Diller has decades of experience covering the financial implications of scientific breakthroughs and says she never ceases to be amazed by the focus, creativity and determination of top scientists. You can follow Diller and EBI on Twitter at @ebiwendy. [divider]In August, Novartis and the University of Pennsylvania entered a five-year global collaboration to research, develop and commercialize targeted chimeric antigen receptor (CAR) immunotherapies for cancer treatment. As part of this partnership, Novartis is funding a new research and development facility on the Penn campus. Their partnership is breaking new ground in the growing trend of academic institutions collaborating with pharmaceutical companies. Both parties benefit, with pharma companies accessing the expertise of top researchers at universities in exchange for funding their research. It’s a natural development in the emerging field of translational medicine, which involves bringing scientific knowledge "from bench to bedside" by using basic research advances to develop new therapies and procedures. Wendy Diller wrote about the Penn-Novartis partnership for a recent issue of In Vivo, a strategic business publication for the biopharma, medtech and diagnostics industries published by Elsevier Business Intelligence. This is a version of her article. [divider] Novartis’ deal with the University of Pennsylvania around cancer immunotherapies based on chimeric antigen receptor technologies developed in the lab of Penn’s Carl June, MD, comes at an opportune time. The pharma giant is fighting to preserve its number two ranking in oncology, and Penn’s high-profile, albeit much smaller, alliance with AstraZeneca in neurodegenerative disease is winding down. Dr. June’s work on using genetically modified T-cells to treat leukemia drove Novartis’ interest and sparked one of the biggest university-industry alliances in recent years. He spoke about his work at a recent meeting on translational research at Penn’s Institute for Translational Medicine and Therapeutics (ITMAT). Dr. June’s work focuses on CAR technologies to treat cancer. In recent years, his lab has devoted considerable time to creating T-cells that express the receptor CART 19, a synthetic fusion protein consisting of antibodies that attach to the CD-19 protein, commonly expressed in chronic lymphocytic (CLL) and other B-cell mediated leukemias. The genetically engineered T-cells are injected back into the patients, where they find their way to CD-19-expressing leukemia cells and kill them. The premise is that an immune-mediated effect is needed for long-term control of cancer, even if the core therapy is targeted inhibitors, or some other class of drugs entirely. In August, Penn and Novartis announced a five-year global collaboration around development and commercialization of CARs. In exchange for funding, Novartis gets exclusive worldwide rights to all CARs developed through the collaboration and to CART 19, which is already in the clinic. Financial terms were not disclosed, but Dr. Michael Cleare, associate vice provost for research at Penn’s Center for Technology Transfer, noted in an interview that it has “one of the biggest up-fronts done between pharma and universities” for a specific program, and based on its size, Penn researchers will be devoting substantial resources to it. Dr. June, who is a professor of pathology and laboratory medicine and program director for translational research at the Abramson Family Cancer Research Institute at Penn, isn’t the only one working on this approach. He has, however, demonstrated for the first time a variety of elements necessary for the technology’s success. These include significant expansion of the cells in patients and persistence for months; development of a subset of memory T-cells in patients; evidence that the CAR T-cell remains functional in the body months after it is transfused there; and lack of life-threatening adverse side effects. Those are big advances in the field, although questions about long-term toxicity and relapse rate remain. Some studies show, for example, that cancer stem cells in CLL do not express CD-19 and therefore won’t bind to CART 19. June’s work in this field has been published widely. 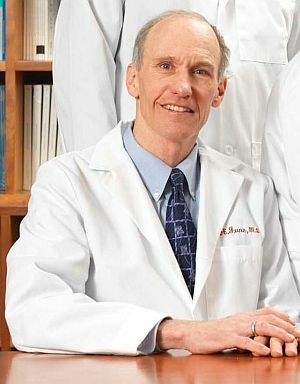 His group’s papers in the New England Journal of Medicine and Science Translational Medicine in 2011 reported on the first three clinical experiences using a first-generation anti-CD-19 drug candidate to treat patients with advanced CLL. All three patients had refractory CLL, including two with p53 mutations, which indicate harder to treat disease, and all three responded to a single infusion of treatment, two completely and one partially. Dr. June's work is featured in an article in today's New York Times. Long-term use of CARs in 43 HIV patients has demonstrated that the engineered T-cells, implanted back into the body, are persistent at stable levels, with no adverse events reported in more than 540 years of patient follow-up, Dr. June said at ITMAT. The HIV patients participated in three clinical trials between 1998 and 2002, and continue to be monitored; all remain healthy. Results of the follow-up appeared in the May 2, 2012 issue of Science Translational Medicine. While the study involved HIV, it has helped allay some fears about toxicities in cancer patients, although of course the trend has yet to be proven in cancer. Dr. June did point out that a French trial of pediatric SKID patients (a genetic disorder that results in children born without immune systems), which used a similar technology, resulted in four of 10 subjects developing leukemia. That technology wasn’t identical to Penn’s, however, because researchers used an interleukin-2 gamma oncogene vector, whereas his approach used a disabled HIV viral (lentivirus) vector, Dr. June added. At ITMAT, Dr. June updated the audience on the CD-19 pilot, highlighting results of infusions in at least 10 end-stage refractory patients; the study goal is to treat 14. He characterized the group’s overall response rate as “high”; updated details are being presented at the 54th American Society of Hematology Annual Meeting and Exposition December 8 to 11 in Atlanta. Public data to date show that nine of the group were adults with CLL, while one was a child with relapsed refractory acute lymphocytic leukemia (ALL). Of these, four had complete responses (three CLL, one ALL), two partial, and there were three null responders; one patient could not be evaluated for unspecified reasons. So far treatment is durable, with CARs remaining in patients’ systems for at least two years, but it is still not clear if the disease is cured or just dormant, leaving the potential for long-term relapse. Novartis is scheduled to sponsor a Phase II trial beginning in 2013. One side effect is ongoing B-cell aplasia and infections because patients are unable to make new antibodies, so they are immune compromised, Dr. June noted. That is considered manageable, however, through use of prophylactic gammaglobulin. The Penn-Novartis collaboration is indeed noteworthy as far as academic-industry deals go. In exchange for broad, exclusive licensing rights, Novartis is guaranteeing that it will sponsor research and also pay milestones for reaching certain development, regulatory and commercial goals. It also is contributing $20 million toward building a facility on the Penn campus, to be known as the Center for Advanced Cellular Therapies, dedicated to the research and production of adaptive cellular immunotherapies. The price reflects competitive bidding for the clinical-stage technology. (Most academic programs of interest to industry are much earlier stage.) Long-term clinical trial data were available to bidders, although admittedly on very small patient populations. Negotiations with Novartis got underway after three patients had been successfully treated, Dr. Cleare said. Also, June’s and his colleagues’ expertise in T-cell culturing processes acquired over nearly two decades had tremendous value, all the more so given the difficulties companies have encountered in manufacturing immunotherapies. Penn now has the capacity to re-engineer the T-cells on a timely basis at a cost that is, if not cheap, at least competitive with other state-of-the-art oncology treatments, Dr. June said. The process so far can be scaled up to treat 100 to 400 patients annually Dr. June said — enough for Phase II clinical trials, although if the drug gets to market, much larger quantities will likely be needed. Penn chose Novartis over other pharma companies and venture capitalists, Dr. Cleare said, because of its huge in-house expertise, strong oncology franchise, and motivation to move rapidly; Novartis’ most successful cancer drug, Gleevec (imatinib), goes off patent in 2015. The timing couldn’t be better for Penn, coming just as another high-profile, albeit smaller-scale, deal between the university and AstraZeneca has come to an end. That deal, signed in March 2010, aimed to develop new therapeutics for Alzheimer’s disease, focusing on the biology of the tau protein. It was built around work done at the university’s Center for Neurodegenerative Disease Research (CNDR), headed by Virginia M.Y. Lee, PhD, and John Trojanowski, MD, PhD, who are pioneers in tau research. Over two years, the scientists provided AstraZeneca with high-throughput screening assays and knowledge of tau, which has become an area of increasing scientific interest as other approaches to treating Alzheimer’s disease fizzle. Tau is believed to be a key component in tangles that contribute to the destruction of brain cells leading to Alzheimer’s. That deal received a lot of attention in academic circles, where it was perceived to be an example of the new type of relationships between industry and academia. Traditionally suspicious of each other and fraught with culture clashes, the groups have struggled to work together, all the more deterred by disappointments that left both sides with a bad aftertaste. 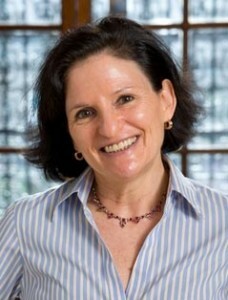 The AstraZeneca-Penn deal preserved the university’s academic freedom, while aiming to protect AstraZeneca’s commercial interests, and included to an unusual degree, according to Dr. Cleare, pre-negotiated terms for royalties and milestone payments, as well as bi-directional flow of information and shared intellectual property. But after two years the deal came to a natural end when AstraZeneca opted not to renew it. That was largely because the troubled Big Pharma is revamping its R&D and moving its scaled-back internal CNS work to Cambridge, Massachusetts. AstraZeneca says, however, that it is still committed to Alzheimer’s research and continues partnerships in the area. Penn’s CNDR, which has actively sought corporate partners since the mid-2000s, has an ongoing deal with Bristol-Myers Squibb in Parkinson’s disease research and recently signed on another Big Pharma it would not name to work on Alzheimer’s disease therapies, albeit not on the same mechanism of action as the AZ alliance. Meanwhile, Novartis executives touted the Penn deal during an investor half-day on November 8 in Boston, where Herve Hoppenot, head of Novartis Oncology, singled it out, noting that CARs could be “transformative” if they work out. “We are very close to something that could have, for some diseases, a very significant impact,” he said. “We have to look everywhere for innovation, not just [within] the four walls of Novartis,” said CEO Joseph Jimenez in an interview following the meeting, admitting that the company had not been at the forefront of some of the fastest moving areas of cancer research, although it now has “good” programs in some of those areas. Acknowledging the complexity of managing partners with different cultures and expectations, he noted that although the company is looking outside for more of its deals, it isn’t clear that externalization leads to higher R&D success rates. Many breakthrough approaches to treating complex diseases come out of academic research, but tapping that expertise in a systematic way is something that industry is in the embryonic stages of learning, Jimenez said.